Take advantage of our Holiday Print Sale! 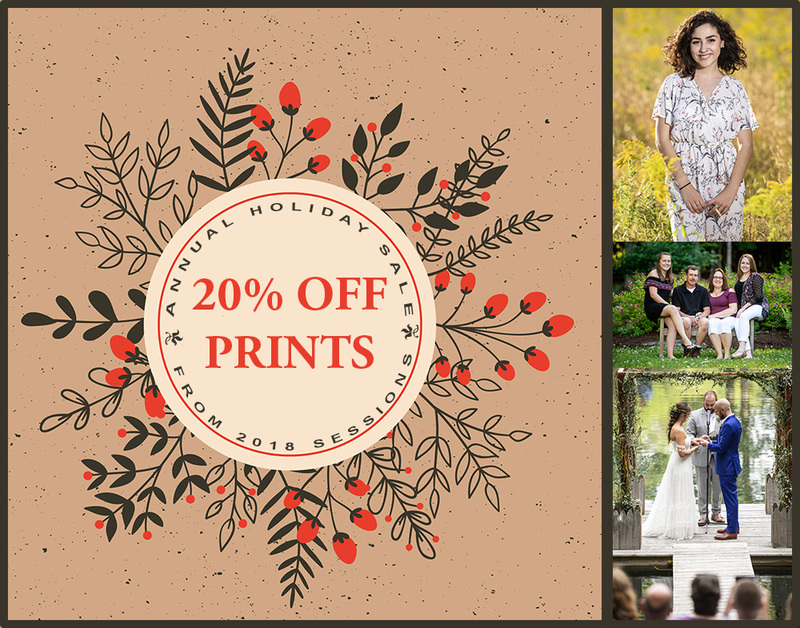 From now through December 31st, take 20% off prints from any wedding or portrait session in 2018. To purchase, email Steve at steve@steveholmesphotography.com or give the studio a call at (603) 439-2150. This entry was posted in Promotions and tagged 20% off, Holiday Print Sale, Promotion.